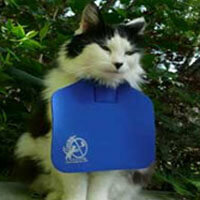 Get Off Garden Crystals will discourage cats and dogs from fouling lawns, gardens, doorways, posts and dustbins. Simply scatter the crystals around the garden by squeezing the container. 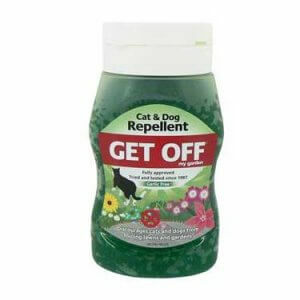 Shaws Repellent Spray performs the same task, with a smell that is unpleasant for animals and will make them avoid the areas where it has been sprayed. 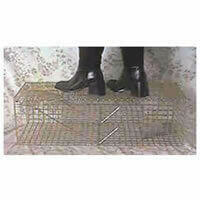 Perfect for keeping pets away from indoor furniture too and ideal for puppy training to let your new addition know where they can and cannot go. 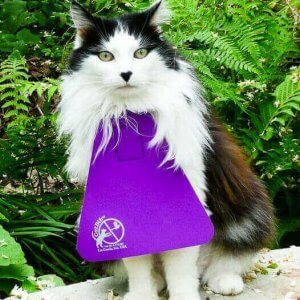 A Cat Bib will also stop outdoor cats killing birds by acting as a barrier between your cat and its prey, protecting native birds and small mammals.